These little treats are easy to make and a fun project to do with your kids! 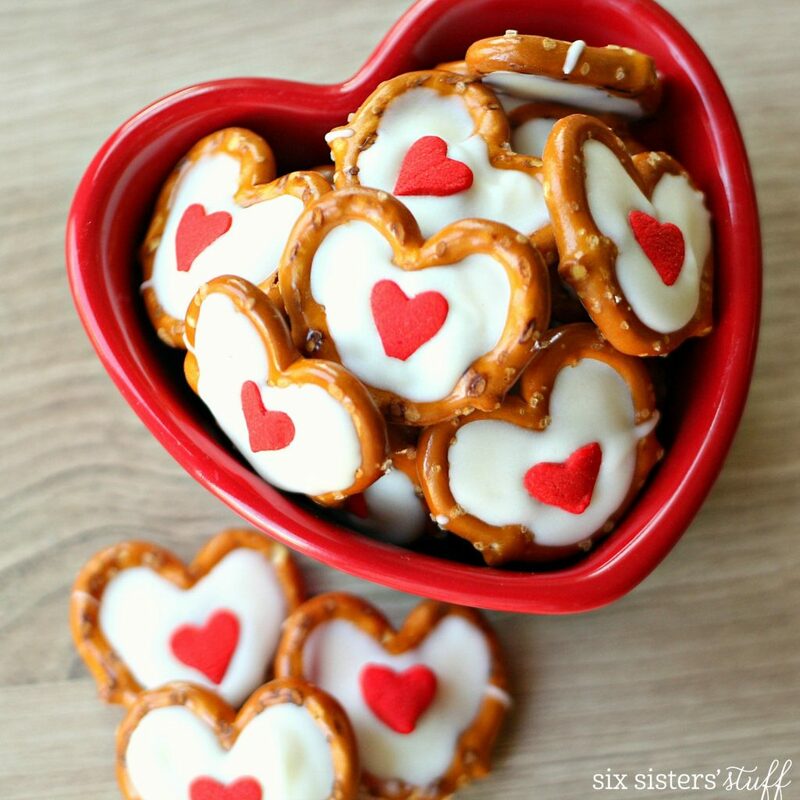 We love making a big batch to give to teachers or neighbors for Valentine’s day. Lay pretzels in a single layer on a piece of parchment paper. Melt almond bark according to directions on package and scoop melted bark into a resealable plastic bag. Cut a small hole in the corner of the bag and pipe the melted bark into each pretzel in the form of a heart. Immediately place a jumbo heart candy into the center of heart, pressing down slightly to set. Continue until all pretzels are filled and then let sit until almond bark is set (about 40-45 minutes). Remove from parchment paper and enjoy.